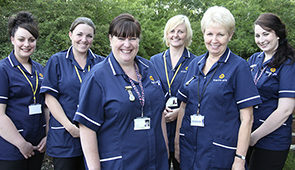 Training our carers to the highest standard possible is an important part of Acquire Care’s ethos. By having specialist trainers with in-house training facilities, we ensure that all our carers are fully trained and vetted as required by the Care Quality Commission. This includes the completion of Independent Safeguarding Authority and Disclosure Barring Services checks. These were previously known as Criminal Records Bureau checks. References are also required. Our training covers everything from Moving and Handling, Health and Safety to Food Hygiene and Medication. Throughout their career, our carers will be assessed with on-going training leading to nationally recognised qualifications. This means that as our Client’s needs change, our carers will be able to adapt and assist them at all times.